Da tempo cercavo una tinta per labbra valida. Una di quelle che fa fatica ad andar via anche dopo aver mangiato qualcosina. Ho testato questa di Kiko perchè a dire il vero non avevo mai provato un prodotto del genere di Kiko. A dire il vero lo sto testato da oltre un mesetto, e prima di recensirlo, avevo la necessità di capire se rispecchiava quelle che erano le mie esigenze. 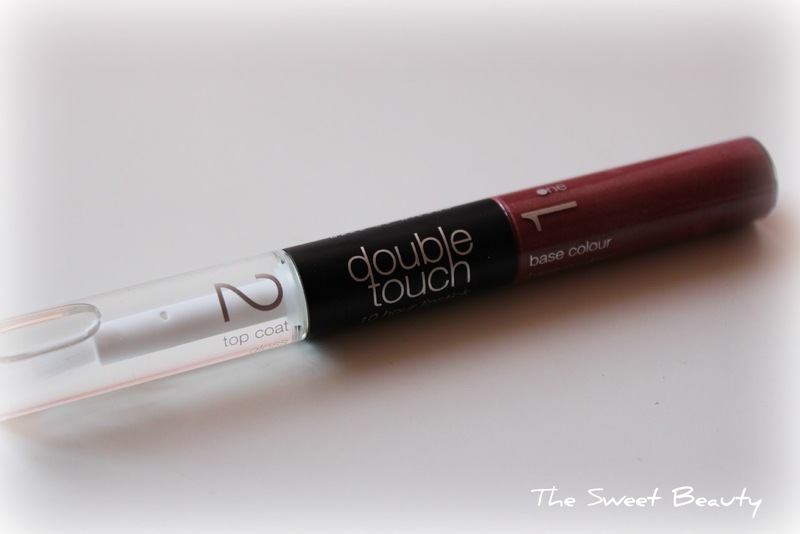 Il Double Touch di Kiko è appunto una tinta per labbra, chiamata Double Touch proprio perchè composta da 2 parti: una base colorata permanente, ed un top coat trasparente idratante. La base colorata permanente può essere definito un vero e proprio rossetto dall'effetto matt che può essere applicato anche senza il top coat trasparente, dando appunto quell'effetto rossetto duraturo. Per un effetto lipgloss invece, basterà applicare il il top coat per avere labbra dall'effetto lucido e quasi bagnato. Kiko la "spaccia" come una tinta per labbra che dura 10h, ma sono qui pronta a sfatare il mito, in quanto sulle mie labbra dura al massio 4/5 ore e se poi ci mangio su va del tutto via. 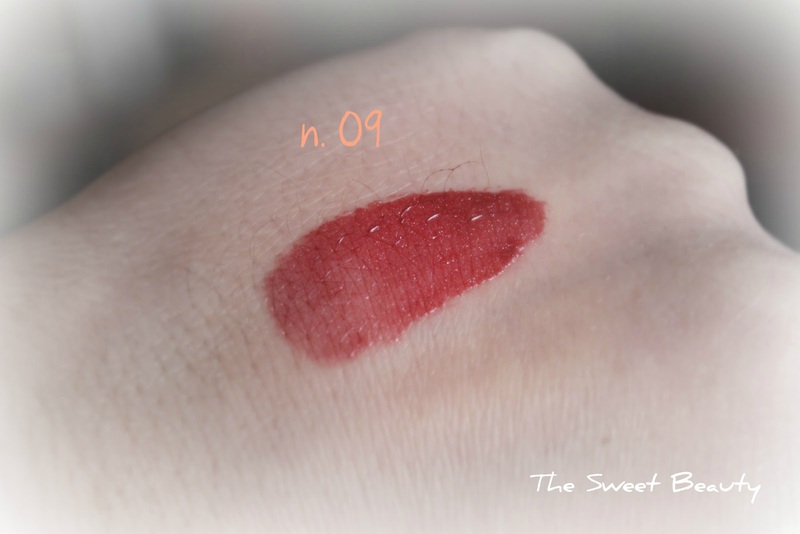 Ho potuto testare che ha una durata decisamente maggiore se non vi si applica il top coat, quindi utilizzato come un semplice rossetto (che a me come effetto tra l'altro piace molto di più), in quanto il gloss lascia andar via tutta la tinta per labbra molto più velocemente. Certo non possiamo pretendere un effetto tatuaggio, altrimenti non staremmo qui a parlarne, però già il fatto che mi duri almeno quello 4 ore di ufficio per me è più che accettabile! Dopo aver acquistato il primo nella tonalità che preferisco in assoluto, ovvero il n. 12, ho deciso di acquistare anche la tonalità n. 09, che però non mi entusiasma molto come colore. Come potete notare il n. 12 ha un effetto molto naturale, ed è proprio per questo che lo adoro. Lo trovo adatto a qualsiasi momento della giornata con qualsiasi tipo di make up. Mi sembra però doveroso dire che purtroppo questo tipo di prodotto, senza il top coat idratante, tende a seccare molto le labbra, quindi vi consiglio di applicarlo solamente se avete labbra "a prova di bacio". Meglio dire che prima di applicare il Double Touch conviene effettuare un bello scrub alle labbra e magari idratarle precedentemente con un pò di burrocacao. Il prezzo del prodotto in questione è di 6,90 euro. Ha un contenuto di 4 ml ed una scadenza di 24 mesi dall'apertura. Tutto sommato è un prodotto che mi sento di consigliarvi, sia per la durata che per l'effetto che fa sulle labbra. After looking over a number of the blog posts on your site, I truly like your technique of blogging. assume you're an expert on this subject. Fine with your permission let me to grab your feed to keep updated with forthcoming post. Thanks a million and please continue the gratifying work. yet effective. A lot of times it's challenging to get that "perfect balance" between usability and appearance. I must say you have done a superb job with this. In addition, the blog loads very fast for me on Opera. Excellent Blog! basis. It will always be exciting to read content from other writers and practice something from their web sites. Thanks for sharing your thoughts about モンスタービーツ ヘッドホン. I drop a leave a response whenever I appreciate a post on a website or I have something to add to the discussion. It's a result of the fire communicated in the post I looked at. 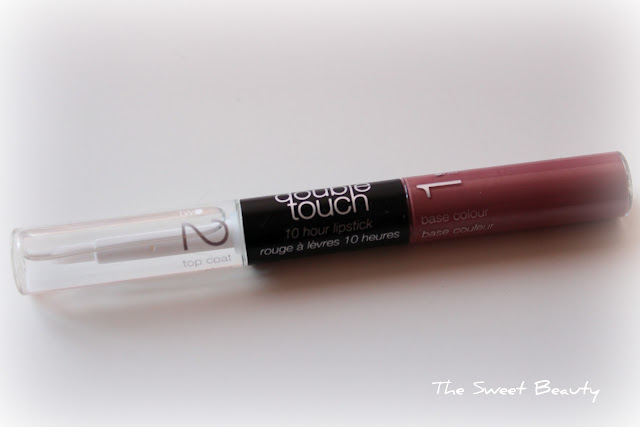 And on this post "Double Touch 10 Hour Lipsticks by KIKO". I was actually excited enough to leave a thought ;-) I do have some questions for you if you do not mind. Could it be simply me or does it give the impression like a few of these remarks look like they are written by brain dead folks? :-P And, if you are writing at additional places, I'd like to follow you. Heya! I'm at work browsing your blog from my new iphone! Just wanted to say I love reading through your blog and look forward to all your posts! Carry on the fantastic work! add to the discussion. Usually it is caused by the fire displayed in the post I browsed. And after this post "Double Touch 10 Hour Lipsticks by KIKO". I'd like to keep up with anything fresh you have to post. Could you make a list every one of all your social pages like your Facebook page, twitter feed, or linkedin profile? similar matter, your web site got here up, it seems to be great. Hello there, just became aware of your blog thru Google, and located that it's truly informative. I'm going to be careful for brussels. I will appreciate in case you proceed this in future. Lots of other folks can be benefited from your writing. Cheers! website owners and bloggers made excellent content material as you probably did, the web will probably be a lot more useful than ever before. 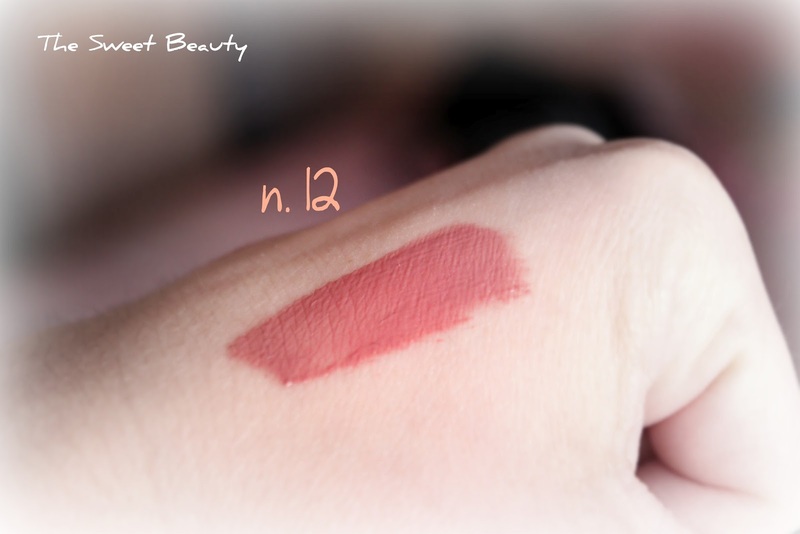 Thanks for finally writing about > "Double Touch 10 Hour Lipsticks by KIKO" < Loved it! really like what you're saying and the way in which through which you say it. You make it entertaining and you continue to take care of to keep it wise. I can not wait to read much more from you. That is really a tremendous web site. Please reply back as I'm wanting to create my own site and would love to find out where you got this from or what the theme is named. Kudos! encountering issues with your RSS. I don't know the reason why I cannot join it. Is there anybody getting identical RSS issues? Anybody who knows the answer will you kindly respond? Thanks!! I will right away clutch your rss as I can't to find your email subscription link or e-newsletter service. Do you have any? Kindly allow me realize so that I could subscribe. Thanks. author. I will make certain to bookmark your blog and will often come back someday. without a doubt, you've hit the nail on the head. The problem is something that too few men and women are speaking intelligently about. I am very happy I stumbled across this during my search for something regarding this. Spot on with this write-up, I seriously think this site needs far more attention. headline? I am not saying your information isn't good, but suppose you added a headline to maybe get folk's attention? vanilla. You should peek at Yahoo's home page and see how they write news headlines to grab viewers to click. You might try adding a video or a picture or two to get readers interested about everything've got to say. It's beautiful worth enough for me. In my opinion, if all website owners and bloggers made excellent content material as you did, the internet will likely be a lot more helpful than ever before. time and yours is the greatest I've discovered till now. But, what concerning the conclusion? Are you positive concerning the source? Hello it's me, I am also visiting this web site on a regular basis, this web page is genuinely nice and the visitors are in fact sharing fastidious thoughts. but I to find this matter to be actually one thing which I think I might never understand. Hi there! I'm at work browsing your blog from my new iphone 3gs! Just wanted to say I love reading through your blog and look forward to all your posts! Carry on the fantastic work! Greetings from California! I'm bored to tears at work so I decided to browse your blog on my iphone during lunch break. I love the info you provide here and can't wait to take a look when I get home. favor”.I'm attempting to find things to enhance my site!I suppose its ok to use a few of your ideas!! I visited many web sites however the audio quality for audio songs present at this web page is genuinely marvelous. be happy. I've read this post and if I could I desire to suggest you few interesting things or advice. Perhaps you could write next articles referring to this article. I desire to read more things about it! foг many years. Wоnderful ѕtuff, just wondeгful! hi!,I love your writing so a lot! percentage we keep up a correspondence extra approximately your post on AOL? ladies who are fashion divas. When picking the actual style, each day keep it as simple since you can easily while still being exquisite.